Ned Miller must be the only country music star from Utah. He was born in Raines on April 12, 1925, and his family moved to Salt Lake City when he was small. It was in Salt Lake that he first heard music that was more western than country. 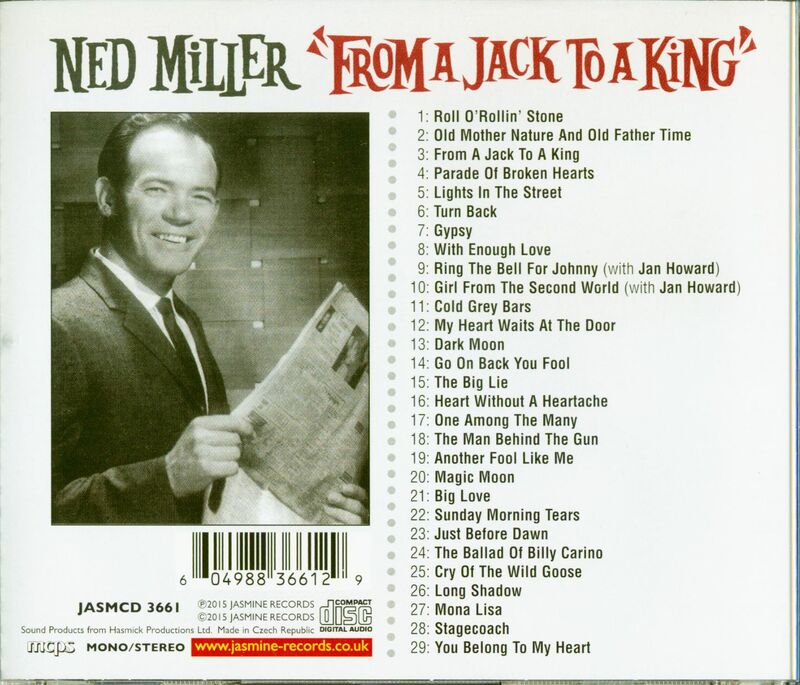 Miller never formed a band or hustled gigs; he worked a day job as a pipe fitter and air conditioning installer around Salt Lake before moving to California in the mid-'50s. There, he continued pipe fitting and overhauling oil refineries during shutdowns. A friend in Salt Lake City had suggested that Miller look up Fabor Robison, owner of Fabor and Abbott Records. Robison had already signed and lost Johnny Horton, the Browns, and Jim Reeves, and was in the process of rebuilding his roster. 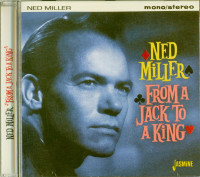 Miller cut his first record for Fabor in 1956, and recorded the follow-up, From A Jack To A King, in 1957 (of which more on Vol. 4). 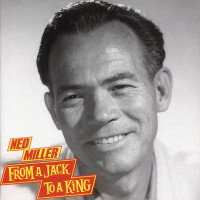 After From A Jack To A King became a hit on its second go-round in '63, Ned needed a big follow-up, and after a couple of missed cues came up with a song he'd written with his wife Sue, Invisible Tears. He followed that with a song based on a saying he'd picked up from his father, Do What You Do Do Well. It became his second biggest hit, reaching #7 on the country charts and #52 on the pop listings in 1965. Between 1965 and 1968, Ned Miller was on Capitol Records and scored five minor hits with his sweet, melancholic music. Capitol's country A&R man, Ken Nelson, liked artists who worked the road. He used to say that he could look at his sales reports and tell which artists were touring and which weren't. Miller consistently wasn't, and, as a result, he was dropped at the expiration of his term. 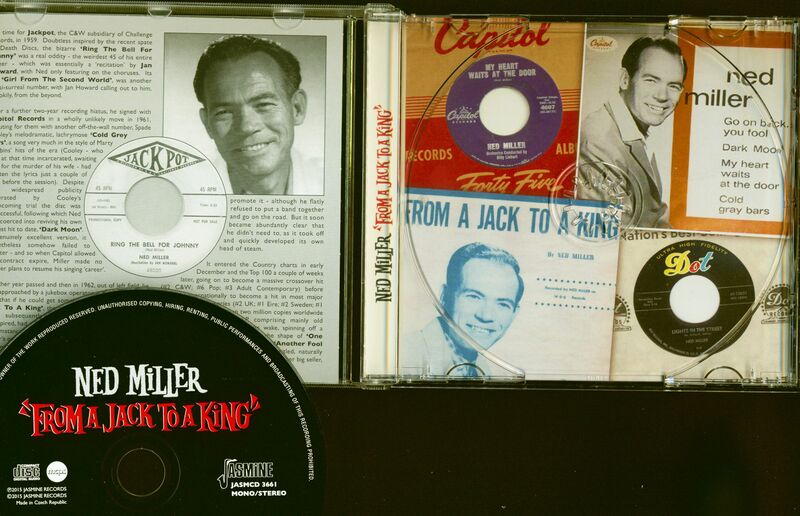 From Capitol, Miller moved to Gene Autry's Republic Records. There was one small hit, The Lover's Song, in 1970 before Miller quit the business and relocated to Prescott, Arizona, then Las Vegas. He wrote his last song during the mid '70s. "I'll get an idea for a song," he says, "but then I think, 'Who wants to go through the hassle of getting someone to record it.' These days I have nothing to do with recording. My kids have nothing to do with the business. If you love shows and like to perform, it's a great business, but if you don't, you shouldn't be in it." Miller has held true to his credo. His only involvement with the music business is to go to the mailbox and pick up the occasional cheque. Customer evaluation for "From A Jack To A King"